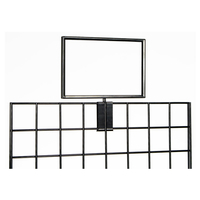 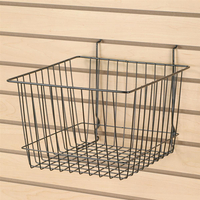 This 24" gridwall hangrail is a perfect way to showcase merchandise in retail, commercial or trade show environments. 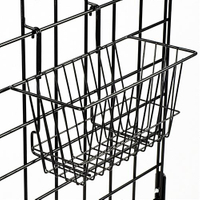 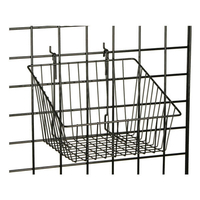 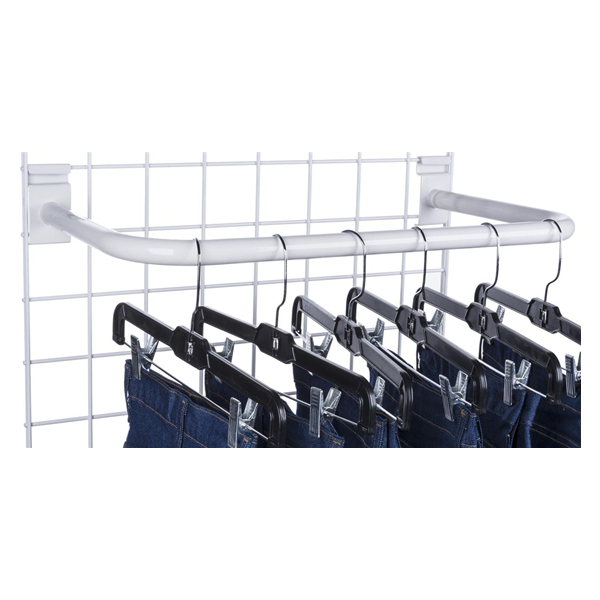 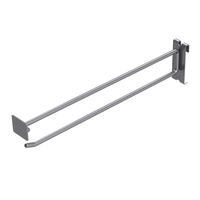 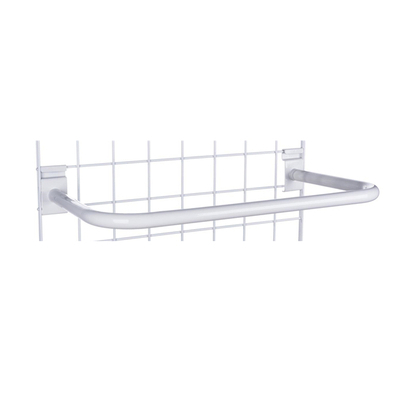 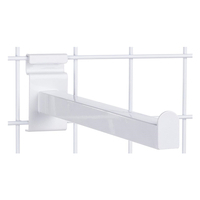 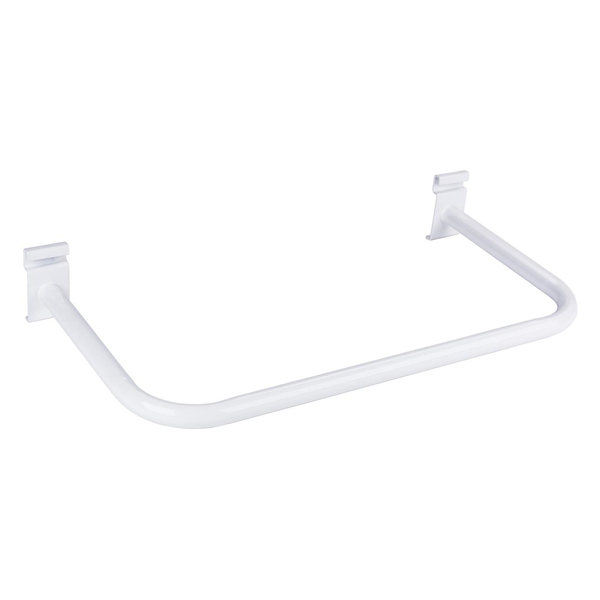 Designed to attach easily to standard grid panels, the white metal tubing's C-shaped design makes it easy to attach hangers for clothing and other merchandise. 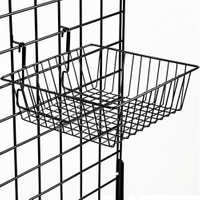 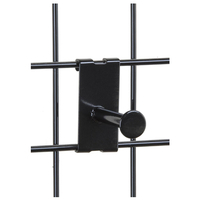 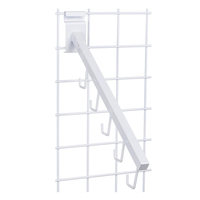 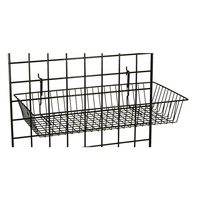 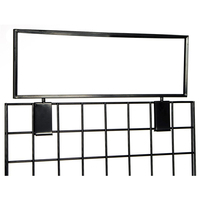 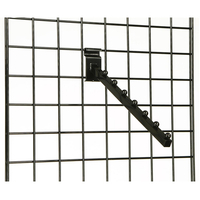 Sometimes called "U-shaped," this gridwall hangrail has hooks at the end that hook securely onto wire grid fixtures yet can be moved as often as required by changing retail displays. 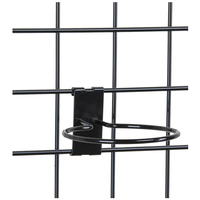 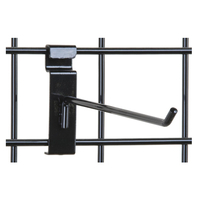 The 12" deep C-shaped accessory is made of sturdy metal and easily supports merchandise. 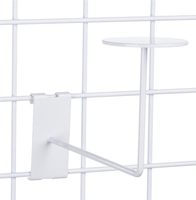 Each white powder-coated gridwall hangrail is designed to withstand heavy daily use in retail stores, commercial environments or at trade shows and other events. 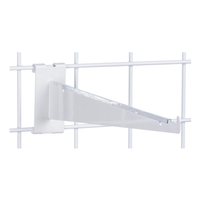 The versatile fixture offers high visibility and easy merchandise accessibility for customers.